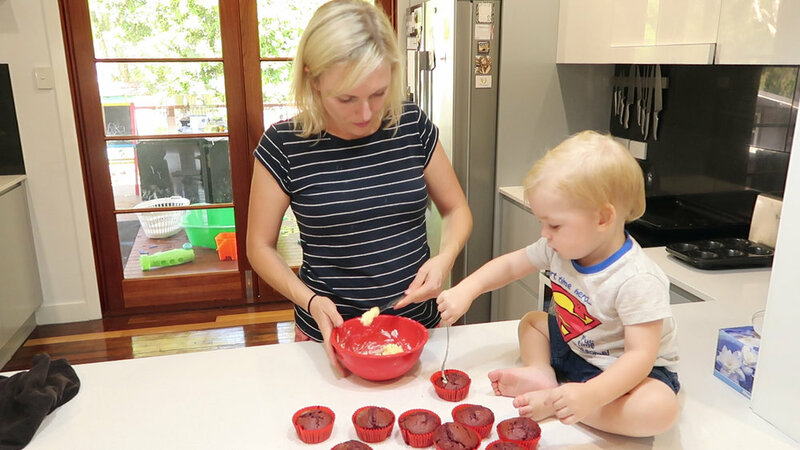 Baking is our new favourite thing to do together. 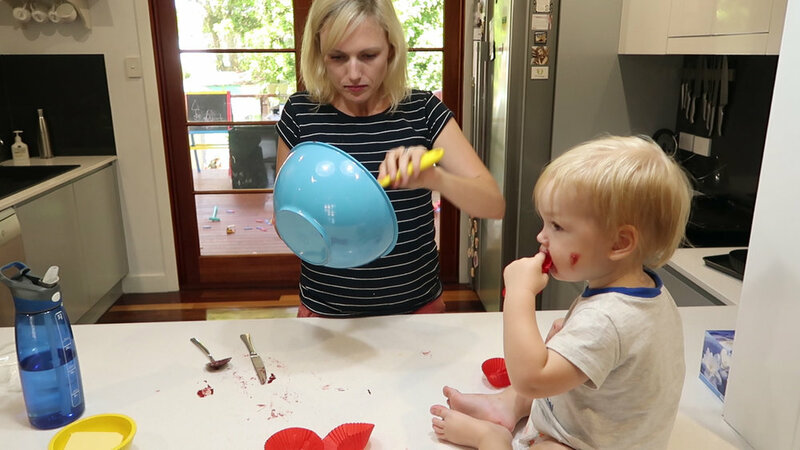 I've been just getting cheap cupcake kits or mixing up pancake batter - Max's favourite part is being allowed to sit on the bench and pour the ingredients in so it doesn't really matter what we make! 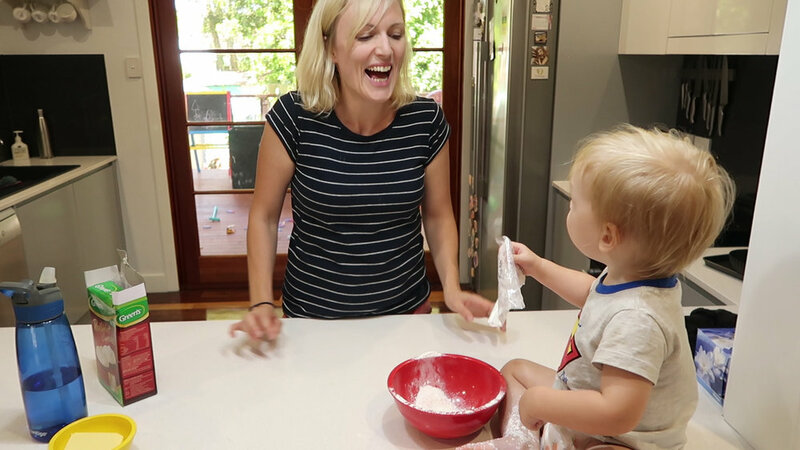 What toddler doesn't love to be at adult height, doing a fun activity and helping! He makes quite a bit of mess and a pack that makes 12 cupcakes rarely results in more than 6 actual cupcakes but I'm not complaining. The mess is easy to clean up and I don't really *need* to eat too many cupcakes! Watching our video back I realised that he is actually quite a neat freak - he seems more worried about the spills than me! Here's the video too if you're interested. Sometimes we make play dough or slime with cornflour, water and food colouring. Which is it's own kind of magical fun, watching the colours swirl together and blend. It's an affordable way to spend some time together and I love seeing Max learn through this kind of play. He's started stressing out about little spills and as you can see in the photos was trying his hardest to help wipe up the drips of slime. In the end, his inner toddler took over and he embraced the mess. I used this recipe and then we ended up adding in some regular plain flour just to see what happened. It was a lot of fun!